The approach to food reflects the owners own preferences. “it’s back to basic, rustic peasant food but with influences from all over the world, Aussie burgers, Russian salads and Scandi Smushis - anything goes. 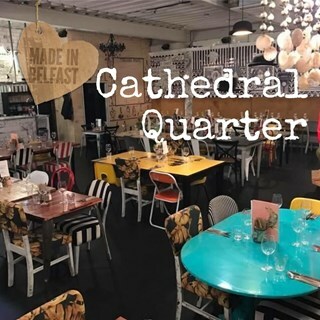 Following the success of the original Made In Belfast, we opened Hooligans in the Cathedral Quarter’s Talbot Street in summer 2010. Envisage as a pop-up restaurant it re-emerged as Made In Belfast Cathedral Quarter on April 1, 2011. Excellent for both food and service! Family of 6 with teens, we all loved it. This was our first visit, we will definitely be back, food was excellent and piping hot, cocktails were original and delicious, Brian took great care of us...even supplying my friend with plasters for a blistered foot. It took a while to place our order but after that service was fantastic as was the food. Definitely recommend. Amazing people who were very helpful and accomodating - we were able to leave a cake etc in early and they were very good at bringing it out early etc. I liked the mismatched look of all the different furniture, while still all being clean and comfortable. All facilities in good condition and accessible for everyone. This was our first trip to Belfast so no previous experience to lean on when trying to choose a restaurant on a busy Saturday night. My son is working in the Cathedral district so that's what I used to pick a place to eat. We arrived on time and the atmosphere was buzzing inside, our table was fine and quick service to provide tap water and a few drinks while we peruse the menu. With food and wine selected we all sat down and had a wonderful meal and a good red. All our dishes were top notch and was very happy with the prices on the menu. For 3 of us with a shared starter, nice bottle red and 3 great mains, the bill was under £100. Great choice, great food and very good value for money. Food was excellent but the service was poor. Had to ask for someone to take our drink order. Waited ages for the starter and the main meal. Had the showtime menu, excellent value and good quality. Great big food portions, lovely and tasty too! I brought a large party (30) of Italians and Belgians all of whom thought the food excellent and the service friendly and efficient. The food was delicious and well prepared. The starter was a pleasant surprise - warm crusty flat bread with a selection of delicious melted Irish cheese, olives, tapenade and butter. There were 4 of us that night and all left very happy. Best sticky toffee pudding I’ve had perhaps ever. Great wine and cocktail selection, too. When we arrived & asked for pre theatre menu we were told we should have booked for 5.45 this should be made clear on ur booking page. We were given the menu which was good. Very friendly and accommodating staff. Food was lovely too. 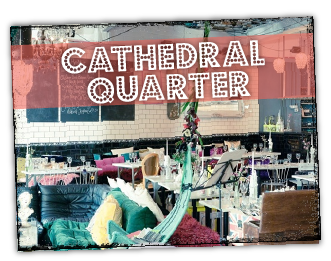 excellent, friendly, fun service and atmosphere - dining experience superb!